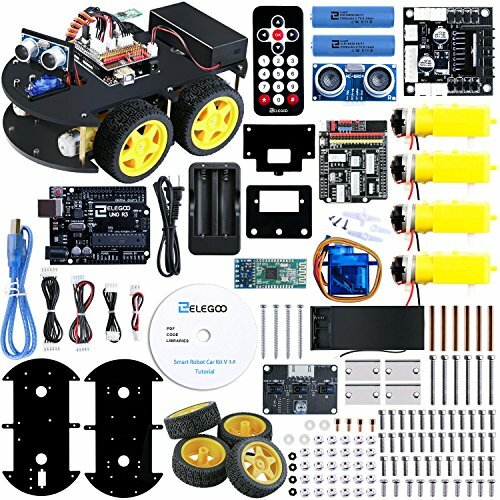 Elegoo Smart Robot Cat Kit V3.0 is an educational and fun kit based on UNO R3 controller board designed for both beginners and professionals to learn electronics, programming and robotics. 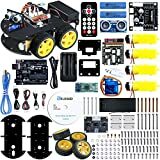 With our easy-to-follow tutorialassembling this robot car kit would be very intuitive and simple regardless of whether you are an engineer or a novice. 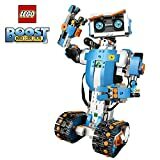 Building up your own robotic project has never been so easy and fun. Just follow our tutorial and step by step you will have your own running car kit within no time. 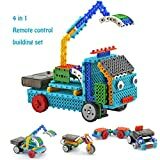 This kit enables you to have a good quality time with your children and empower them to develop and inspire their imaginations. 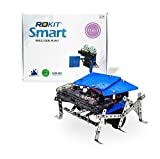 If your kids, family or friends are attracted to the electronics and robotics world, this kit would be a great choice and perfect gift for them to start their first step on electronic journey.